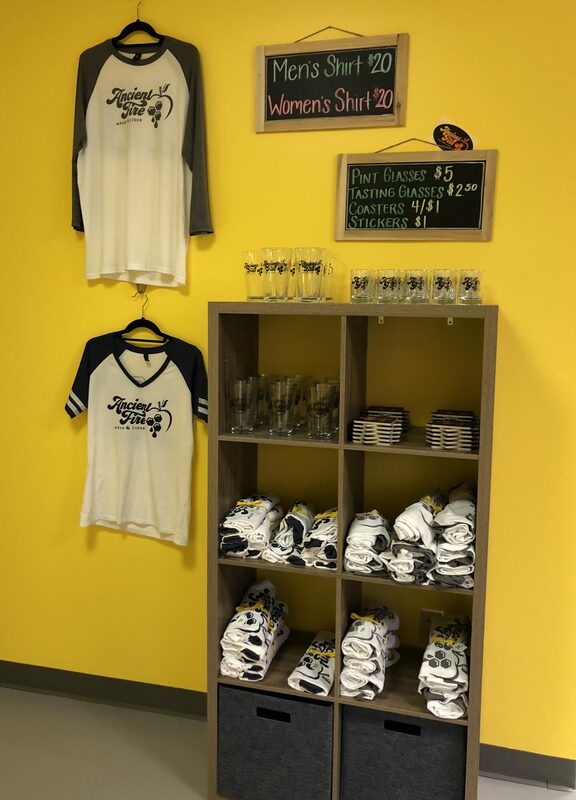 maker’s legacy – Breweries, Wineries and the fun in between! 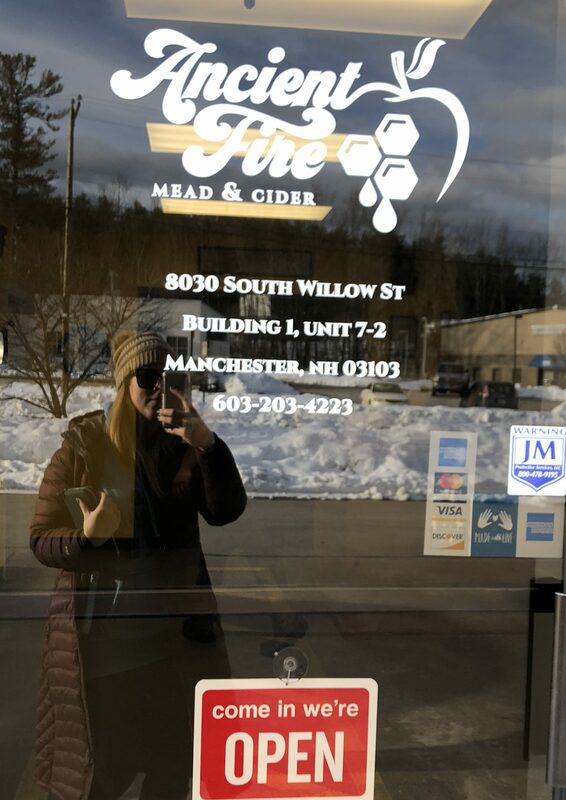 We went to the pre-opening weekend for Ancient Fire Mead and Cider. 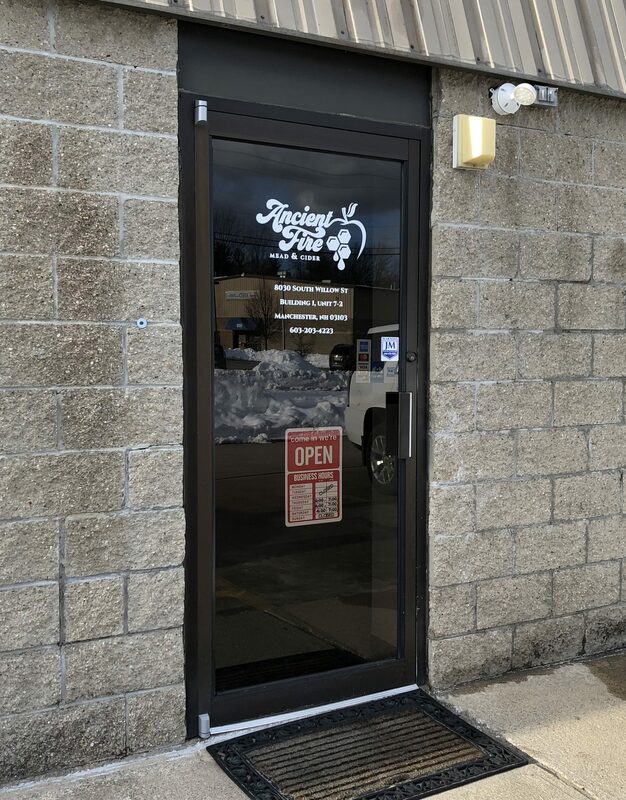 The grand opening is March 15th, tomorrow! We weren’t sure what we were getting into besides what they had posted on facebook, but expected the regular type of meads. 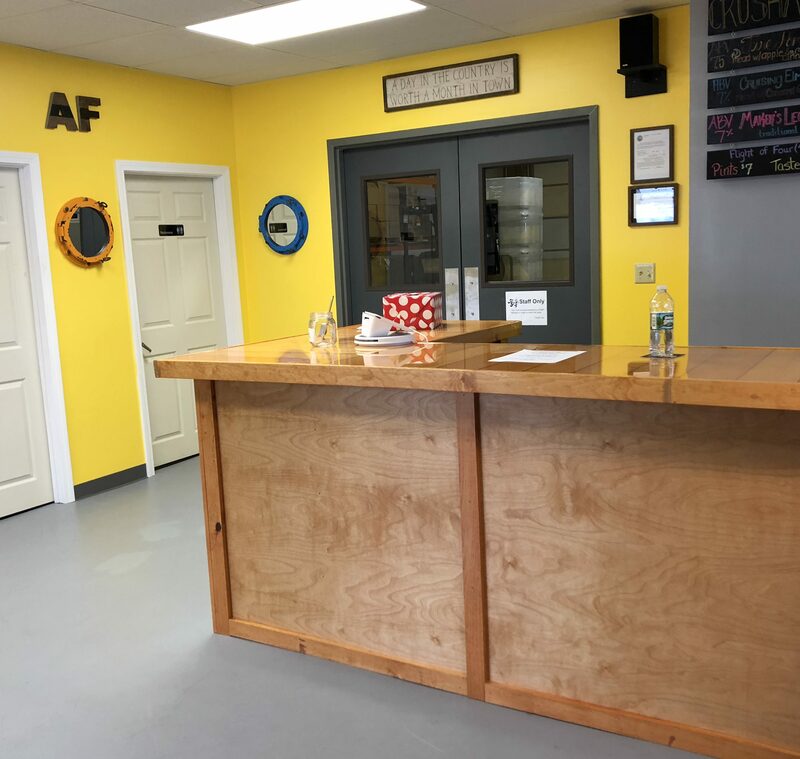 We were surprised, and pleased, that they have started with what they are calling ‘crushable mead’. 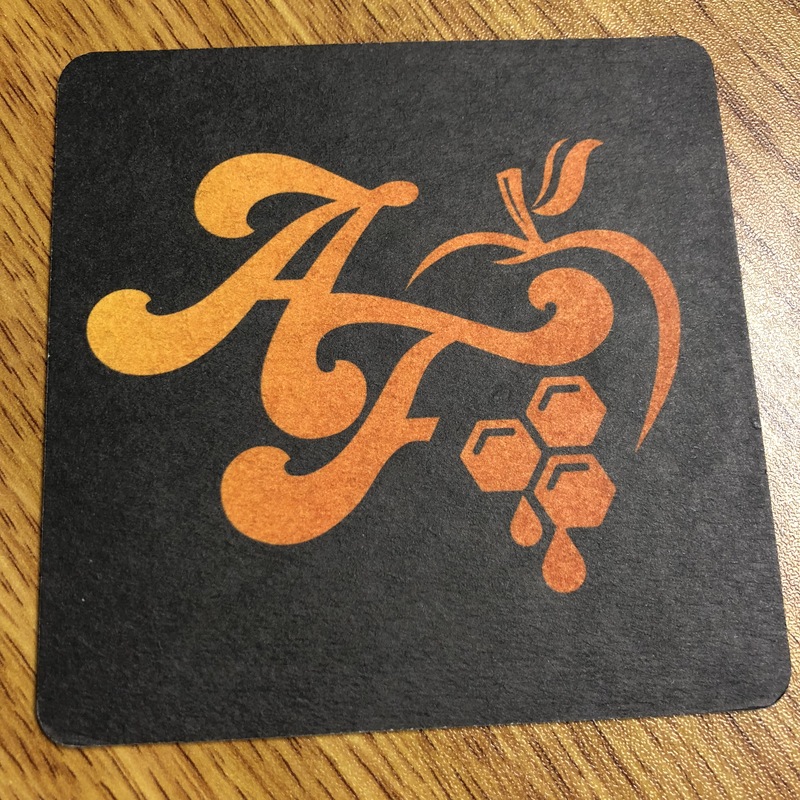 Mead is technically a wine that is made from honey. Usually sold in a small wine bottles, 375ml, with a typical wine abv of about 11% – 16%. 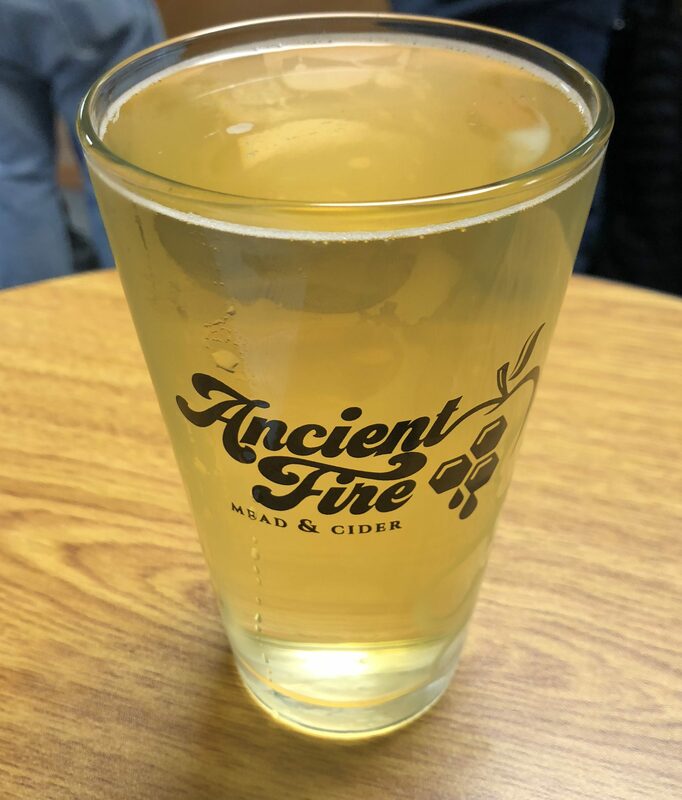 Ancient Fire’s ‘crushable meads’ are around 7% so you could actually sit down and have a pint of them. They do samples sizes and pints, we started with a flight of all 6 meads. Smells of cinnamon, taste like cinnamon, too. There is a subtle apple flavor but cinnamon dominates this one. Clear, but with a very purple-red tint. A dry mead with grape flavor, not sweet which is nice, we both really liked this one. Definitely on the more traditional side, as noted in the name, and very clear. Strong honey flavor, not sugary sweet, but a flavorful mead. Smells like lemon as well as hops. 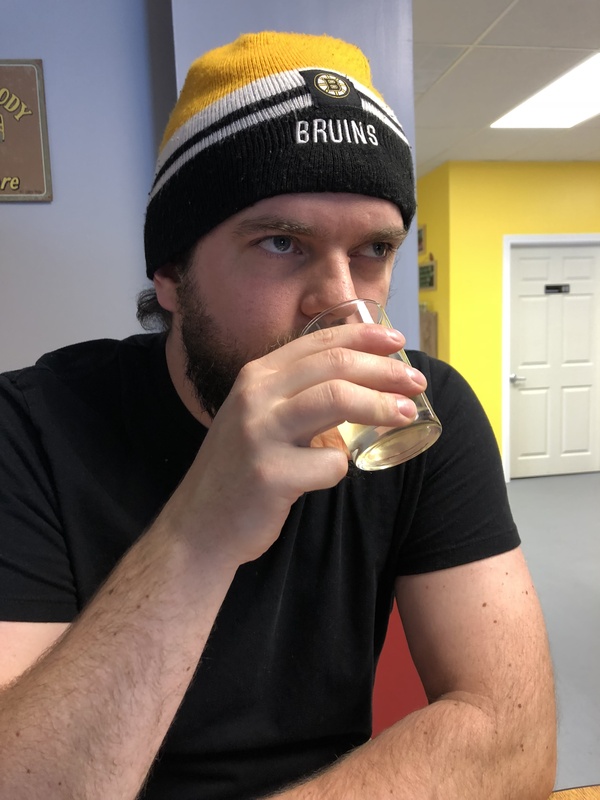 Mark thought it had a strong lemon flavor, as well as honey, with a pretty mild hop character. 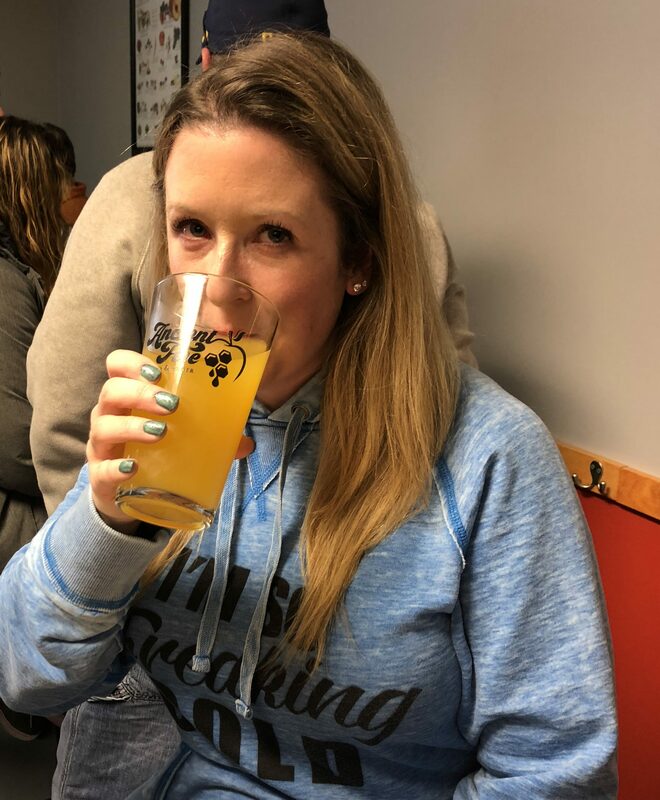 Megan thought the lemon was strong but thought the hops were more present than Mark did; Mark likes hoppy beers and Megan does not. Pretty much taste like pineapple and chilies. The pineapple was a little subtle followed by a nice spice from the chilies. This was a hazy, lime green color. Smells fruity, and tastes like juice. A strong passion fruit flavor that was complemented by some fruity hops. Megan really liked this one, she got a pint of it. They have a limited food menu as well, snacks, soup, sandwiches, and we ordered the meat and cheese plate, which was good. 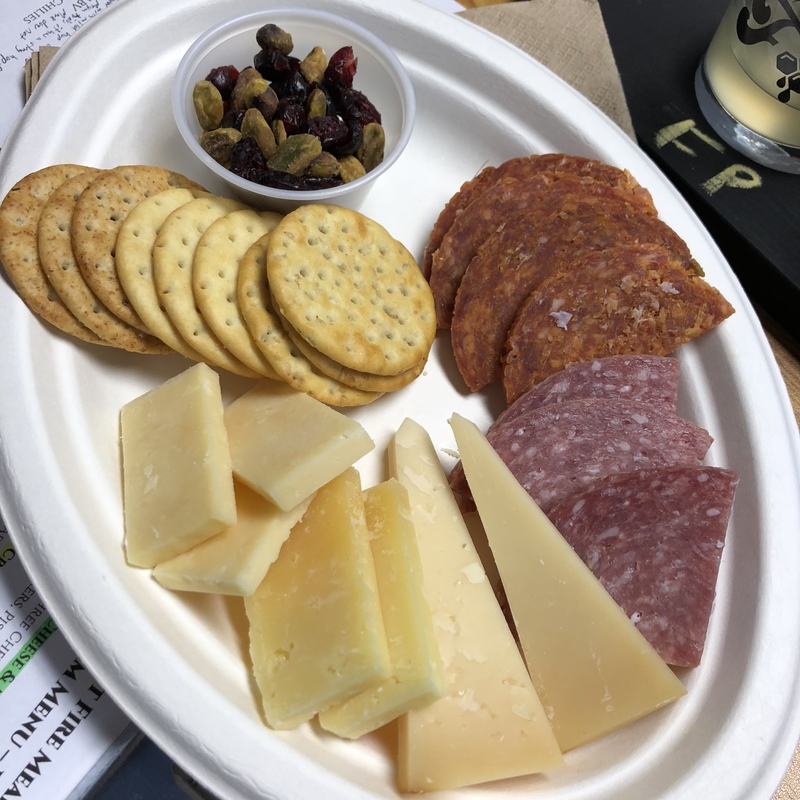 There were three different cheeses, two meats, dried cranberries and pistachios as well as three types of crackers. 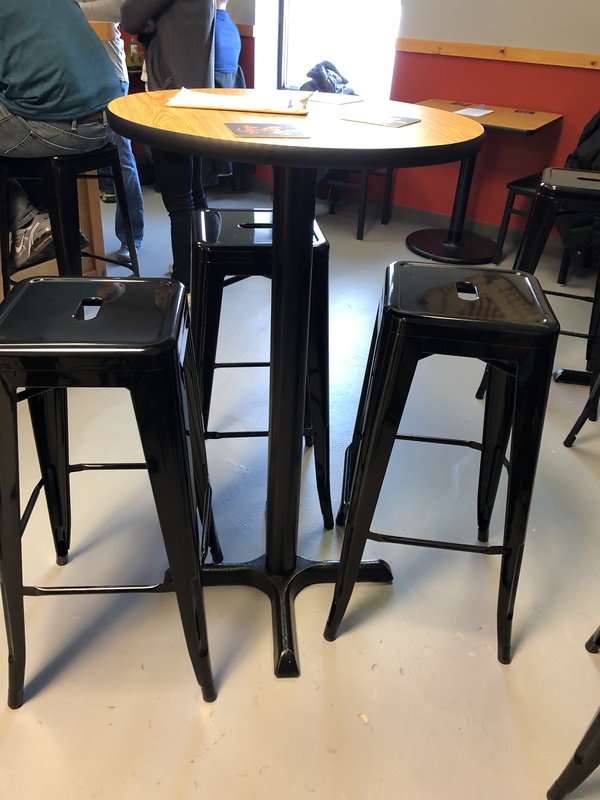 They have about 6 or so tables with the classic brewery stools. They also have a bar with a dozen stools along it as well. There is other open space/ standing room. We can’t wait to see what they do next. The mead was all delicious. None of it was overly sweet, it was well balanced with the flavors they were using. 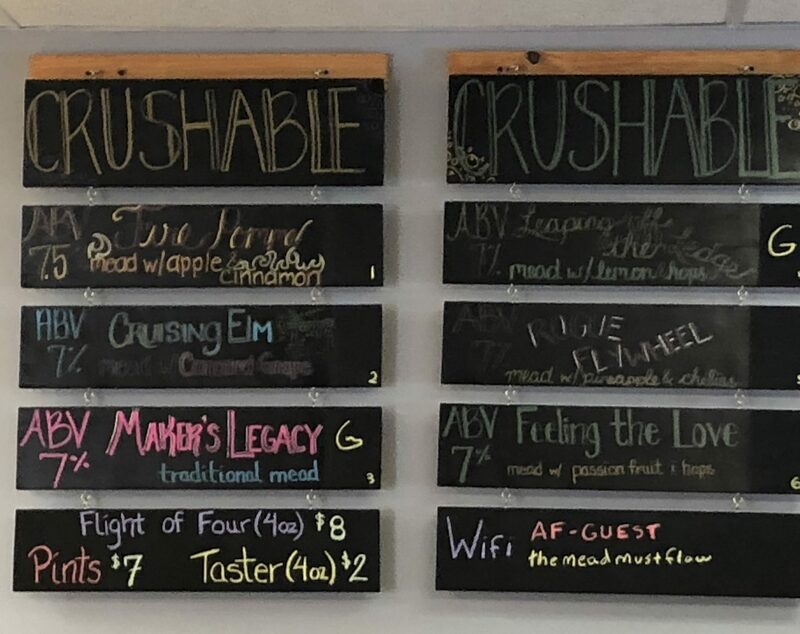 They had a list of coming attractions, including three Cysers and three Standard Meads. They all sound great, we’ve already sent messages to family to plan our next trip there!